Most Westerners would have a hard time locating Kyrgyzstan on the world map, in spite of the role it plays upon the geopolitical chessboard. However, this country has been actively exploited recently by various forces in a bid to destabilize Central Asia, and undermine China and Russia’s positions in the region. Both China and Russia have active relations there, working in close cooperation with Kyrgyzstan. For this reason, the role of Kyrgyzstan amid the political intrigues of various “external players” has significantly increased. In confirmation of this fact, the White House is attempting to implement its plans for Central Asia through applying pressure on Kyrgyzstan, and in turn, projecting pressure on Russia, China, Iran and the entire Eurasian continent, along with taking advantage of this fact in the post-conflict settlement in Afghanistan, forming a single military force under the slogan of opposing ISIS. In the last 10-15 years, Washington has clearly demonstrated its intention to establish a US military-political presence in Central Asia, by creating a serious foothold in the region, in “the heart of Eurasia.” In geopolitical terms, the United States has been seeking ways to connect Central Asia to South Asia – Afghanistan, Pakistan and India, to tear this region once and for all from Russia, while preventing China from gaining access to the raw materials of Central Asia by redirecting the flow of natural resources from the Central Asian state to Japan and South Korea. Under these circumstances, American interests in Kyrgyzstan were dictated by a desire to retain the strategic cooperation of this country and, above all, preserve its military hub in the Kyrgyz airport of Manas. Therefore, a considerable number of steps have been taken by Washington’s representatives to separate Kyrgyzstan from Russia, preventing its entry into the Customs Union and its consequent accession to the Eurasian Economic Space. To achieve this goal, American NGOs have tried to unleash what is now referred to as the “Tulip Revolution” in Kyrgyzstan back in March 2005. But Kyrgyz authorities were quick enough to get a grip on the subversive nature of Washington’s policies in the region, and is why its government refused to cooperate with the US in the field of constructing a “truly democratic society”. 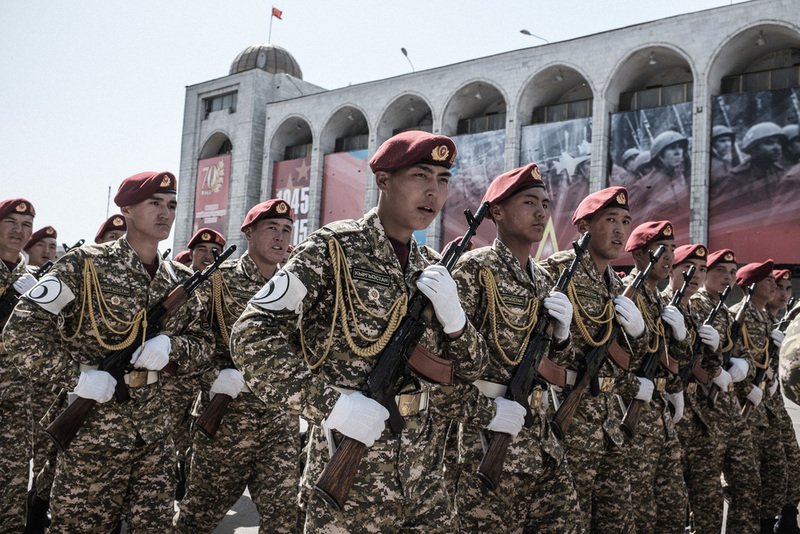 For this reason, in August 2015, Kyrgyzstan has officially denounced a cooperation agreement with the United States, that was in effect for 22 years. 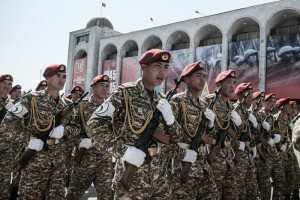 This denunciation was a logical continuation of the steps made by Kyrgyzstan after its refusal to allow a continued American military presence at Manas, Bishkek, along with the activation of Kyrgyz activities within the CSTO. However, Washington, had little doubt about the importance of retaining Kyrgyzstan in the sphere of Western influence as part of projecting pressure on Russia, China, Iran and the rest of the Eurasian continent. That is why the White House has made the decision to replace the US Ambassador to Bishkek, Pamela Spratlen, who has made a number of crucial mistakes, with Richard Miles who is known as a proficient engineer of “color revolutions” in numerous Eastern European countries. Today Bishkek hosts the largest US Embassy in the region, and exists in clear disproportion to the level of bilateral relations between Washington and Bishkek It is tasked with the goal to coordinate and stir up a “revolutionary change” in Kyrgyzstan and across the region as a whole. To ensure a more confident implementation of Western plans in Central Asia, while searching for pro-American politicians, the White House has even invented a new format of diplomatic contacts – the C5 + 1 format which includes five Central Asian republics (Kyrgyzstan, Uzbekistan, Tajikistan, Turkmenistan, Kazakhstan) and the United States. To launch this format, US Secretary of State John Kerry visited the region back in October 2015. For more active involvement of the Central Asian countries in the so-called Western field of influence the White House has recently started demanding its loyal European allies to become involved in Central Asia as well. As for the introduction of German NGOs in Kyrgyzstan, it should be recalled that it was American NGOs that tried to launch the “Tulip Revolution” back in March 2005, so now Washington has decided to use the same strategy through the use of German sponsored proxies. So Washington’s struggle for Central Asia is very active and the actions of Washington and its Western allies in Kyrgyzstan serve as a vivid example of this fact.